When I was asked to create an entire DIY dream bedroom for the Marilyn Denis show in just two days I had an overwhelming feeling of anxiety. How was I, a girl who has never really DIY’d furniture except for this shelf, and this mirror, going to pull this off? I obviously did what anyone in my position would do and took to Pinterest. 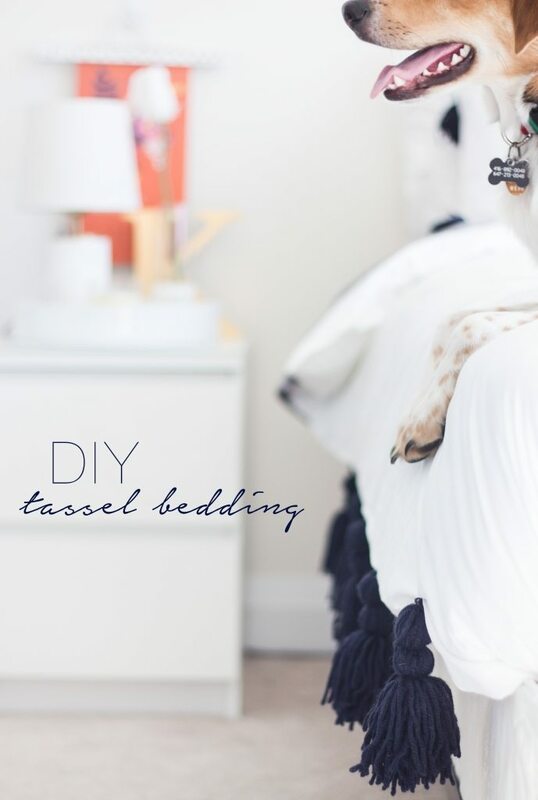 I found so many great tutorials on how to make tassels and loved the idea of having an Anthroplogie inspired tassel duvet cover. Because my room had a modern nautical feel, the white duvet cover and navy blue tassels worked perfectly together to give the bedding that nautical vibe without going to literal. 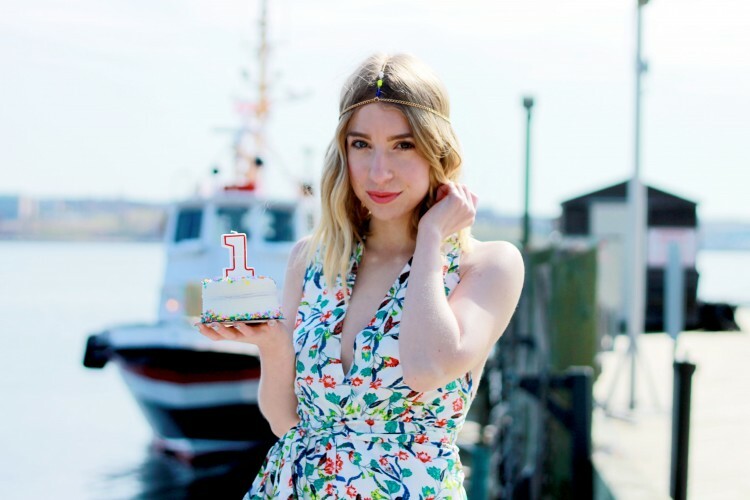 This is one of my favourite DIY projects ever, and I just love that you can go so many ways with this whether with different color tassels, or different sizes. 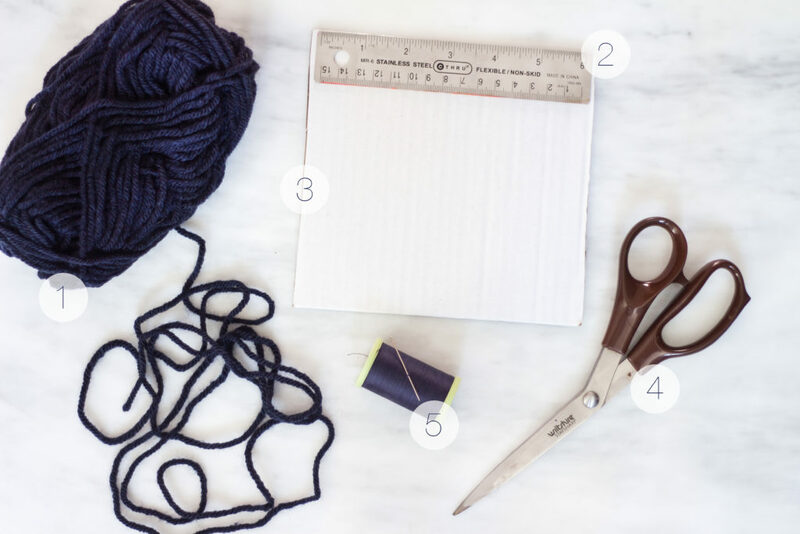 Step 1: Begin by your 6 X 6 inch piece of cardboard and start wrapping your yarn around it. I wrapped about 50 times for a big tassel. 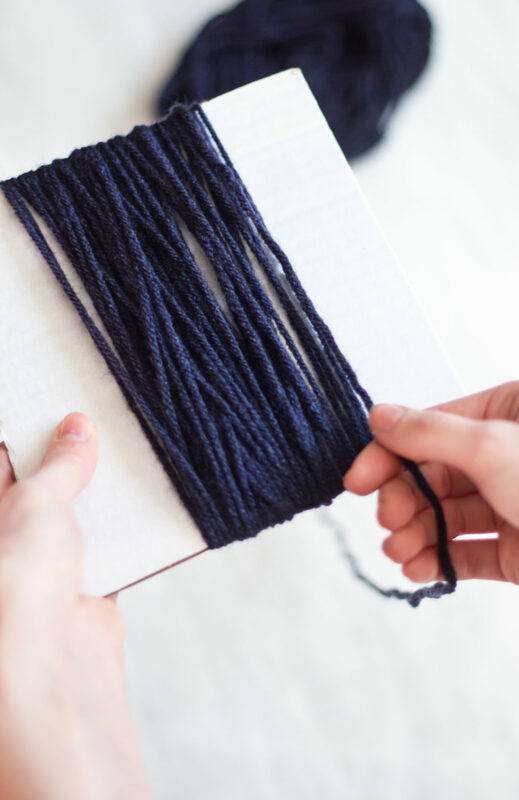 Step 2: Cut a piece of yarn about as long as one of the tassel strands and tuck it underneath the yarn on one side of the cardboard. 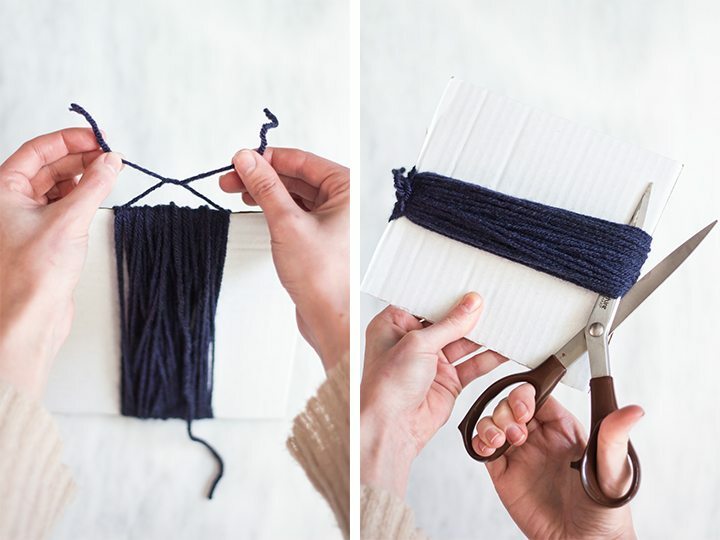 Slide the yarn up to the top of the cardboard and tie it tightly to secure the yarn. Step 3: Slide your scissors underneath one side of the yarn and cut the bottom half that you did not tie to let the tassel loose. 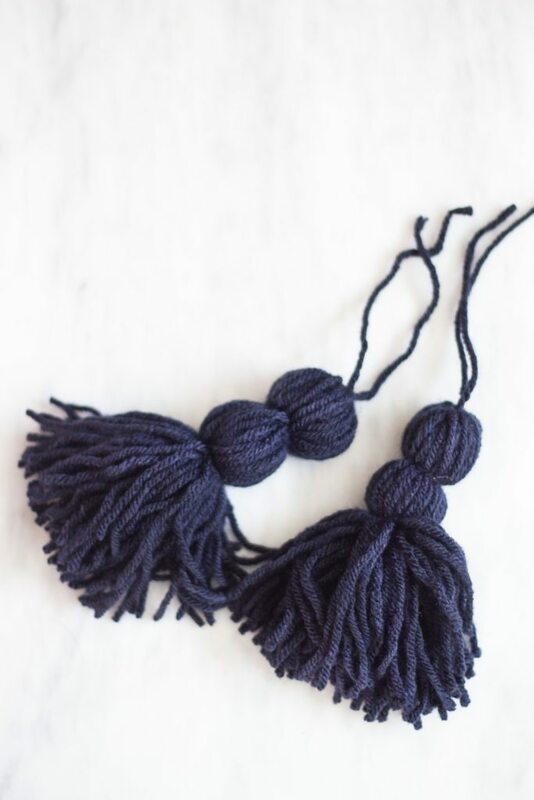 Step 4: Take another piece of yarn a little longer than your tassel, tie and secure a knot at the top. 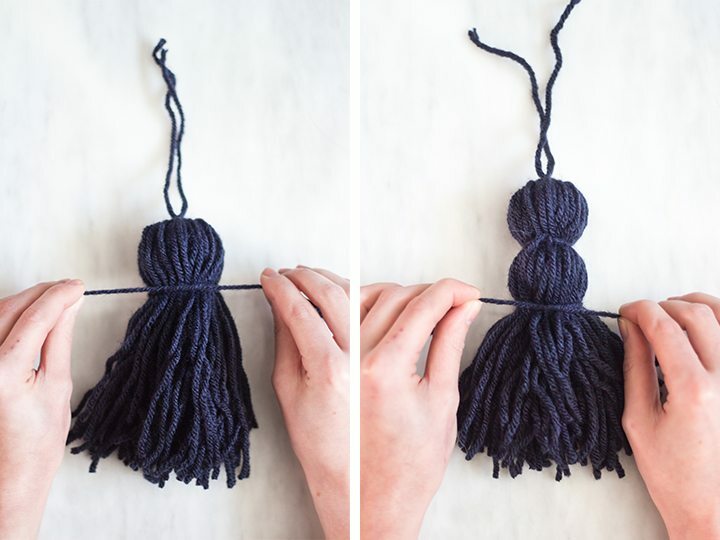 Step 5: repeat step 4 a little further of the way down on your tassel. 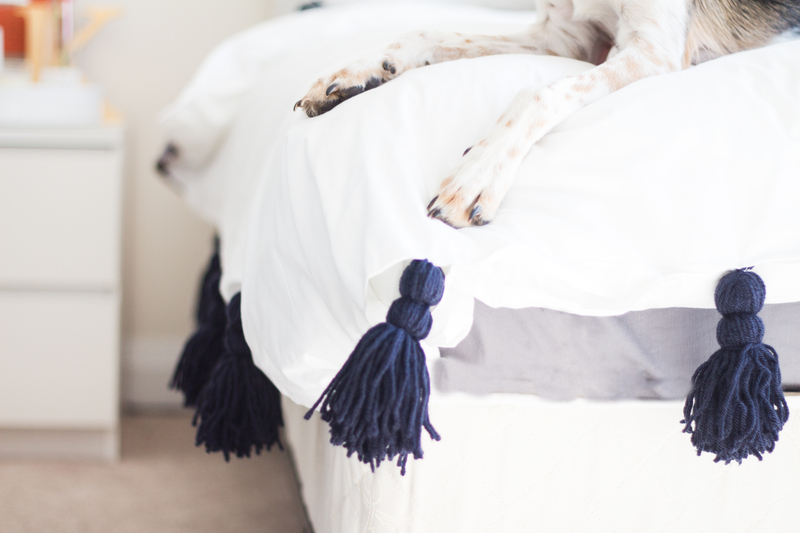 Step 6: Tie a few extra knots at the top of your tassel to make it easy to sew them onto bedding. Step 7: For my bedding I use the same 6″ inch ruler to space out each of the tassels 6″ apart. I used about 20 tassels in total and added tassels on the two sides of the bed and the bottom. 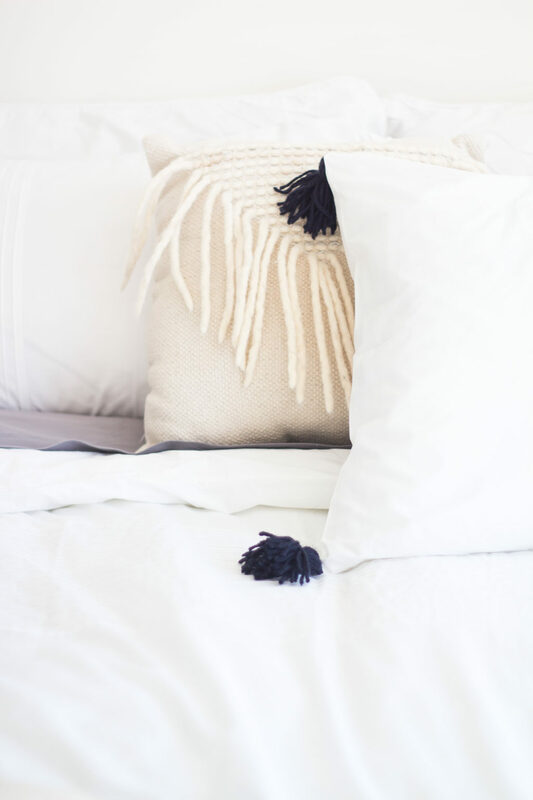 Sew your tassels onto the bed with your needle and thread until they are secure. I tucked the tassels behind the duvet and sewed from the back so that no string would be visible. 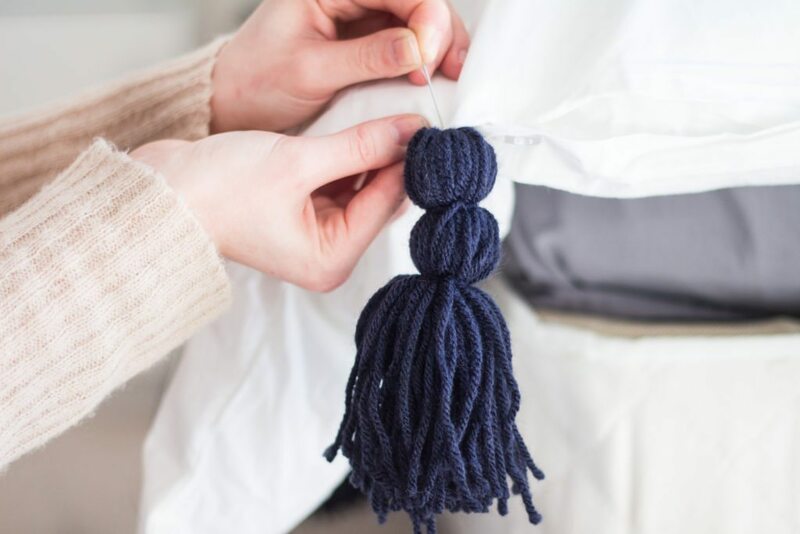 Step 8: I made smaller tassels for each of the 4 corners on my pillows by simply making a smaller piece of cardboard 4 X 4″ and wrapping the yarn around about 25 times.